When using weights with tree_method = “gpu_hist” in R, on relatively big data sizes, xgboost sometimes creates different solutions. This is evidenced in the code example below. Running the same model 20 times over the same data creates up to 3 different quality metric after 50 rounds. Differences are insignificant in terms of model quality, but very annoying in terms of reproducibility. We could not replicate this behavior when using any of the CPU methods, or gpu_exact. 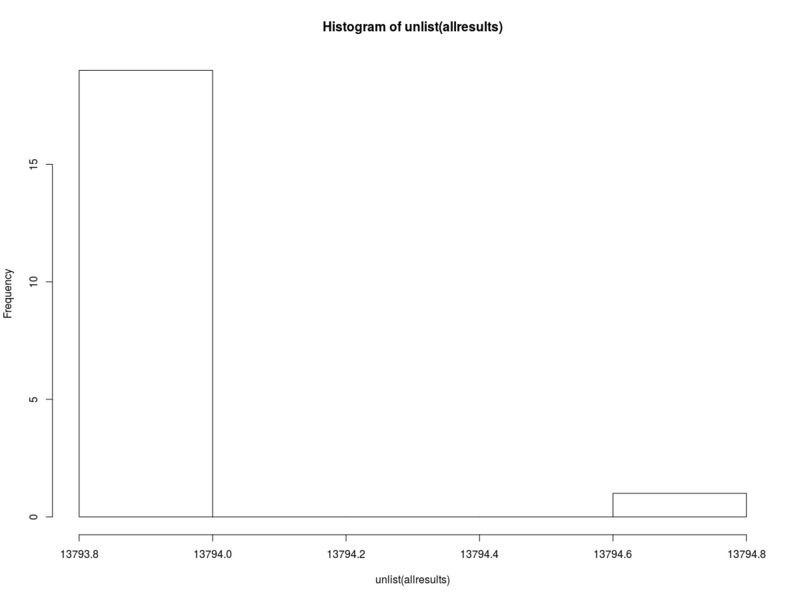 Also, it seems like it does not really happen with smaller amount of data (e.g. chaging 1e8 to 1e7 in code example below removes the issue). From the FAQ due to various reasons including parallel non-determinism and FP operations you might get slightly different results for each run. This could happen, due to non-determinism in floating point summation order and multi-threading. Though the general accuracy will usually remain the same. I wonder if the issue can be overcome somehow, it only appears on a very special set of settings / data.